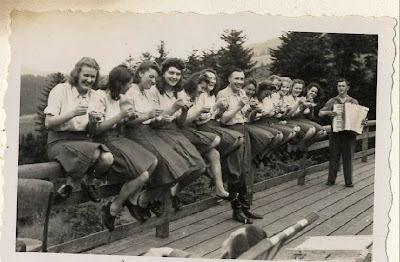 A photo album shows life at the retreat at Auschwitz. Laughing girls. Sing-alongs. All alongside the gassing. Remarkable. And instructive. 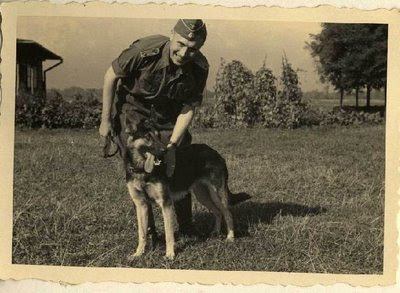 It's so easy to just dismiss the Nazis as monsters, as if they were Bond villains. Real evil wears a different face. Is it the face we see in the mirror? You're right. We tend to think of someone this evil as being a comic book villain ... the Nazi Red Skull or something hideous and evil-looking or with a name like Doctor Doom. 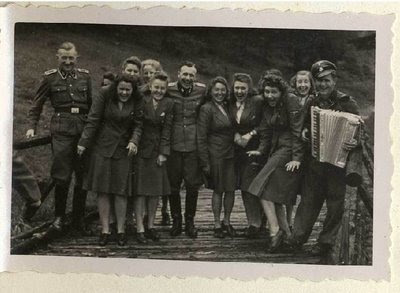 Photos from a concentration camp, with pretty dancing girls and an accordion.